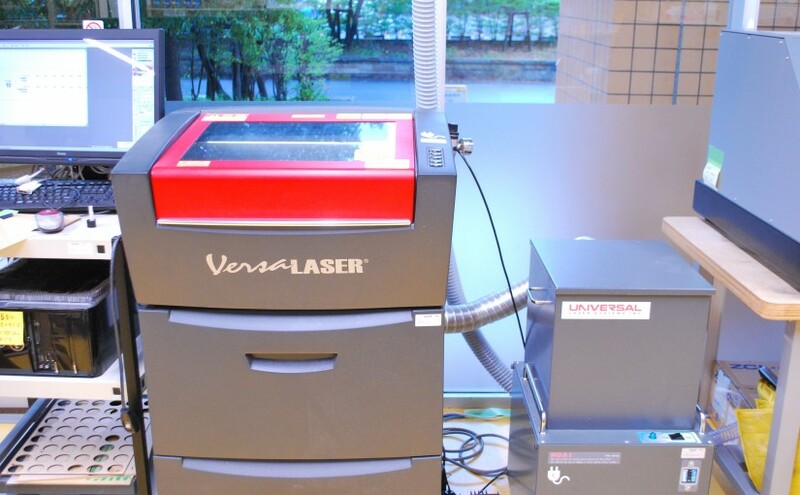 Machine tool that, using 2D data, carves or cuts think wood materials or acryl sheets with a laser. Can process acryl (up to 5mm), wooden materials (up to 5mm), paper, felt (synthetic fibers), rubber, leather, etc. Not to be used on food.